The week's DanceWatch covers a month of dance from "Wolf Tales" to a trio of Nutcrackers and so much more. Happy holidays, happy solstice, happy Hanukkah, happy Kwanzaa, Merry Christmas, and happy New Year. I’m saying all that now because THIS DanceWatch Weekly will be the last one of 2018. I know, I’m sad too, but don’t worry: DanceWatch will return again in 2019 with a look at the musical The Lion King, featuring choreography by Garth Fagan. It opens in Eugene January 9. Before we go our separate ways to enjoy our seasonal celebrations, let’s take a moment to reflect. 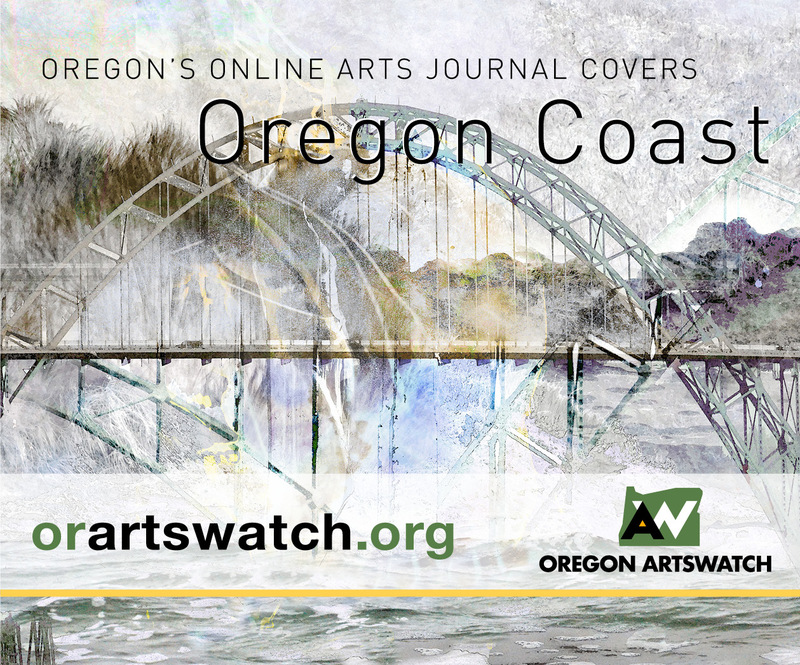 This was a busy year for dance in Oregon and for DanceWatch, as well as for ArtsWatch’s incredible team of dance writers: Martha Ullman West, Bob Hicks, Barry Johnson, Heather Wisner, Nim Wunnan, Gary Ferrington, and Elizabeth Whelan, who tried hard to cover it all. 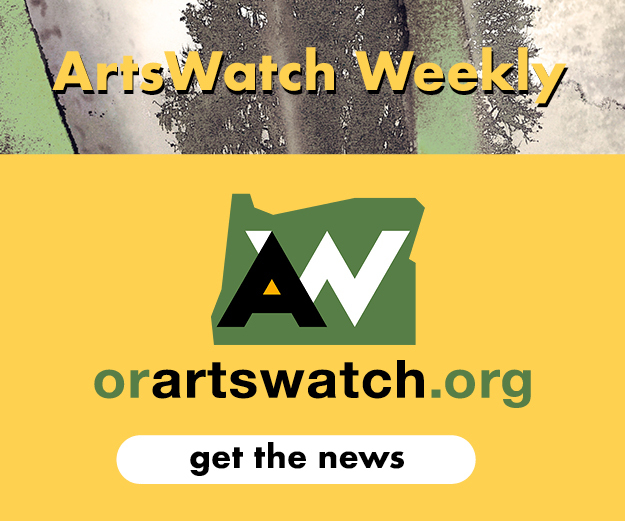 As one of the relatively rare sources of dance writing in the U.S., ArtsWatch is a valuable platform; I’m grateful for it, and for the company of such talented writers. If you would like to read ArtsWatch’s coverage of dance in 2018, begin here and click through. December, dark and magical, brings festive dance performances of all kinds, beginning with NW Dance Project’s Wolf Tales, a remix of fables and fairy tales choreographed by the company dancers: expect lots of surprising twists and turns. Wolf Tales runs December 6-8 and features NW Dance Project executive director Scott Lewis’s world-famous warm wassail served up in the lobby after each show. This 2016 photo of Linda Austin Dance performing “The last bell rings for you” serves as a prompt at the December 9 STREWN fundraiser. Photo courtesy of Performance Works NorthWest. On December 9, for one night only, Performance Works NorthWest will present Strewn, a party to celebrate 18 years of experimental dance and performance held in the Performance Works NorthWest space, to keep the space affordable for artists, and to help sustain programming such as the Alembic artist residencies, various co-productions, and Linda Austin Dance. 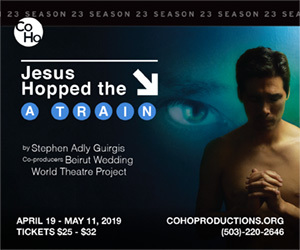 Two performances, at 7 and 9pm, feature seven outstanding multi-discipline performances by an amazing lineup of Portland artists. The performances are inspired by archival photos of past PWNW performances, and the evening will include a raffle, refreshments, and a karaoke after-party at 9pm. Other attractions this month include Robin Lane’s holiday spectacular, held December 14-16 at the Alberta Rose Theatre and brimming with musical, acrobatic, and theatrical glory. DO JUMP physical theatre and 3 LEG TORSO perform; Pepe Raphael (of Pepe & the Bottle Blondes) and Jenny Conlee-Drizos (of the Decemberists) make guest appearances. Milagro/Miracle Theatre Group’s Posada Milagro is a Latino Christmas celebration that includes crafts, Spanish storytelling, piñatas, food, and folkloric dance and music performances by Ballet Papalotl and Son Huitzilín; it’s held at the company’s home theater on Stark Street December 16. Espacio Flamenco celebrates the holiday flamenco style with Fiesta Navideña. Held December 16 at the Alberta Abbey, the event features performances of traditional holiday songs and dances by Espacio Flamenco students and the Espacio Flamenco Company. Ballet Fantastique’s “Babes in Toyland” premieres December 8. Photo courtesy of Ballet Fantastique. 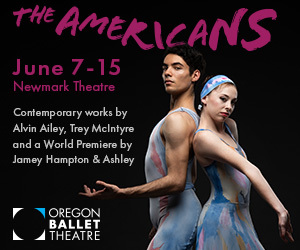 In Eugene, the Emmy Award-winning television dance competition series So You Think You Can Dance Live! 2018 comes to the Hult Center on December 8, featuring winning performers and choreography from the show’s 15th season. Babes in Toyland, a world premiere by Ballet Fantastique, runs December 14-16 at the Hult Center as well, and will be danced to Duke Ellington’s rendition of The Nutcracker Suite, played live by the Swing Shift Orchestra. The ballet, choreographed and produced by the mother-daughter artistic team of Donna Marisa and Hannah Bontrager, is a reimagining of the original Babes in Toyland operetta that Victor Herbert composed as a Christmas-themed fairy-tale mashup; it debuted in 1903. As for Nutcrackers, there are three: Oregon Ballet Theatre performs George Balanchine’s The Nutcracker December 8-26, the majority with live music live by the OBT orchestra. Eugene Ballet’s The Nutcracker, choreographed by artistic director Toni Pimble and accompanied live by Orchestra Next, runs December 21-23. And the Bolshoi Ballet performs Yuri Grigorovich’s The Nutcracker (after E.T.A. Hoffmann and Marius Petipa) live from Moscow in movie theaters near you on December 23. BodyVox’s Junior Artist Generator (JAG) Company performs December 14-15. Photo courtesy of BodyVox. Student performances, which tend to be less expensive and shorter (great for the younger set) include The Reed College Winter Dance Concert, featuring student and faculty choreography; it runs December 8-9. Steps PDX Youth Program dancers perform excerpts from The Nutcracker, Land of the Sweets, featuring choreography by artistic director Kathryn Harden, ballet Mistress Olivia Ornelas, and instructors Lauren Smith and Jesus Rodales; the show is held December 15. And BodyVox’s pre-professional dance group, the Junior Artist Generator (JAG) Company, performs works by BodyVox artistic directors Jamey Hampton and Ashley Roland as well as pieces by a who’s who of up-and-coming Portland choreographers December 14-15. That’s a wrap. We’ll bring you more Oregon dance events in the new year. 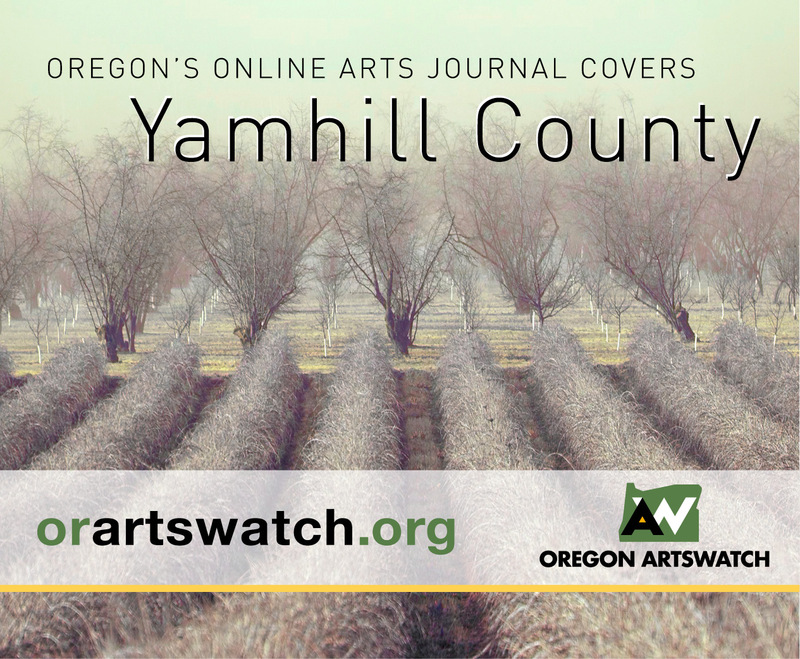 Good news: the Oregon dance scene is thriving, as evidenced by the 12 performances you’ll find in this week’s column. And here’s another positive development: after an exhaustive national search, Portland’s Regional Arts & Culture Council has appointed a new executive director: Madison Cario, whose career was inspired in part by a contemporary dance performance. Cario, whose first day at RACC will be Jan. 14, 2019, has more than 20 years’ professional experience as an artist, presenter, producer, and arts leader, and we are so, very, very pleased by the news. Welcome, Cario! To learn more, check out RACC’s full release here. 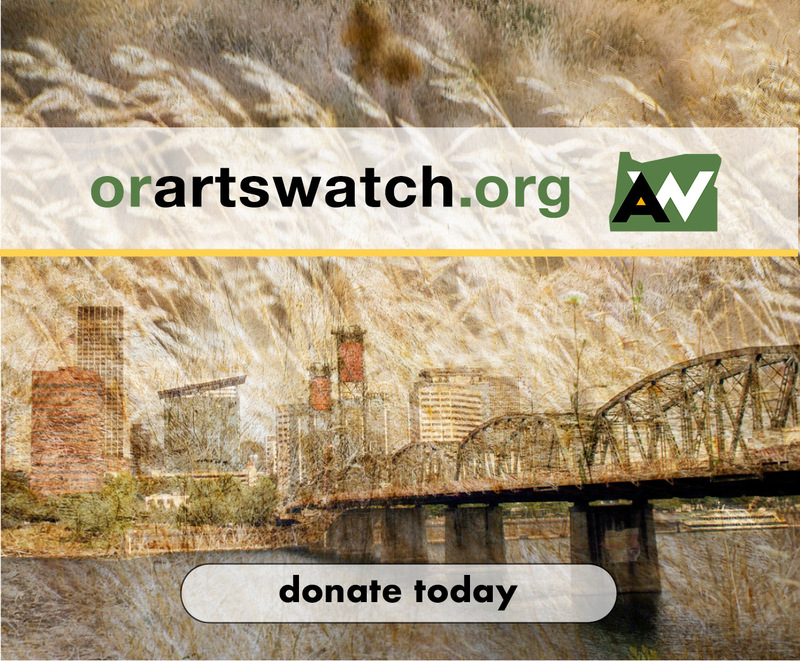 Over the next two weeks, DanceWatch will be taking a much-needed holiday break and will return bright-eyed and bushy-tailed on December 5. But until then, let’s talk about this week’s dance offerings, starting with Perceiving the Constant, Jessica Hightower’s new contemporary work for three dancers. When I moved to Portland about eight years ago, a big creative surge within the dance community seemed to be ebbing (perhaps as a side effect of the 2008 economic collapse). I never got to meet many well-regarded local dance artists or see their work, despite having heard a lot about it–and them. 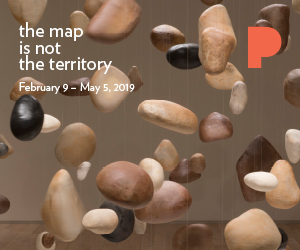 Perceiving the Constant, which Hightower performs with Dorinda Holler and long-time artistic partner Keely McIntyre, is set to an original score composed by Ash Black Bufflo’s Jay Clarke, and examines the passage of time. In the early research stages of the work, Hightower asked both her 4-year-old daughter, Ari, and her 95-year-old grandfather about how they experienced time. Perceiving the Constant opens Friday, November 16 at New Expressive Works. At press time, Friday’s show was nearly sold out, but there were tickets available for the Saturday and Sunday shows. 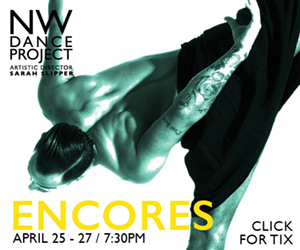 Michele Ainza, the newly appointed artistic director of dance at Willamette University, presents work showcasing the next generation of choreographers from Willamette and Chemeketa Community College. 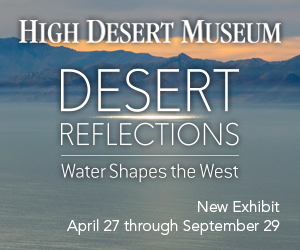 The program also includes work by Willamette University alumnus Genevieve Gahagan and Western Oregon University adjunct professor Cynthia Gutierrez-Garner. Among the evening’s themes are the body as narrative, the passage of time, and aspirations for (and doubts about) the future. Ainza is a dance and somatics educator and the artistic director of Michele Ainza Dance (MAD), a Portland-based contemporary dance troupe that focuses on the deconstruction and abstraction of social and political issues through idiosyncratic movement material. Ainza has taught at Lewis and Clark College, Linfield College, Fresno City College and Mexico’s University of Veracruz. The two-act concert ¿LISTEN? 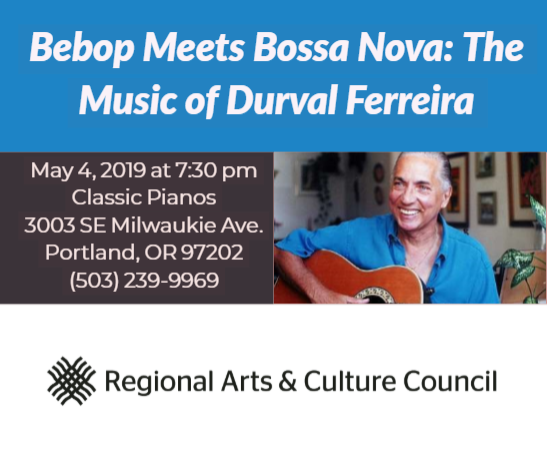 features work by Polaris Dance Theatre artistic director Robert Guitron and Brazilian choreographer Barbara Lima, artistic director of the new Portland-based ELa FaLa Collective. Lima, whose work aims to bridge art, technology, culture, education, and science, will present a solo that expresses her frustrations and deep sadness as well as her power as a woman fighting to survive during this tumultuous time. Guitron presents a multimedia commentary on the political landscape and calls for kindness, unity and love; he will invite the audience to join the dancers on stage in the final moments of the dance. Dancers Keely McIntyre, Dorinda Holler, and Jessica Hightower in “Perceiving The Constant” by Jessica Hightower. Photo by Meghann Mary Gilligan. “Miranda” by 11: Dance Co. Photo courtesy of 11: Dance Co.
Reed College Performing Arts Building, 3203 SE Woodstock Blvd. In the Sensation-themed Reed Arts Week, viewers are encouraged to experience art not just through sight, but through all their senses. 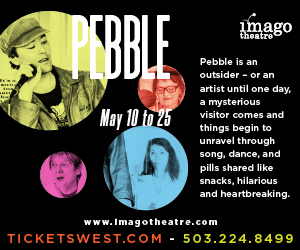 Both student and professional artists will appropriate the Reed College campus as stage for dance, poetry readings, theatrical and performance works, live music, and visual art. The two-day program includes work by olfactory artist Maki Ueda; poet Marty McConnell; fashion designer Eda Yorulmazoglu; animator Eric Dyer; artist Stephanie Gervais; poet Esther Belin; photographer Parker Day; 11:Dance Co.; photographer DJ Meisner; and musical performers Marquii and DJ Manny Petty. Below are some of the weekend’s dance/movement highlights. Performing Arts Building, Performance Lab, 3203 SE Woodstock Blvd. Workshop with 11:Dance Co 7:30 pm November 18, Performing Arts Building, Dance Studio, 3203 SE Woodstock Blvd. This three-part work, which draws from improvisational prompts and the Gaga technique created by former Batsheva Dance Company artistic director Ohad Naharin, encourages both viewers and dancers to rely on senses other than sight to understand dance. Performing Arts Building, Black Box Rehearsal Room, 3203 SE Woodstock Blvd. 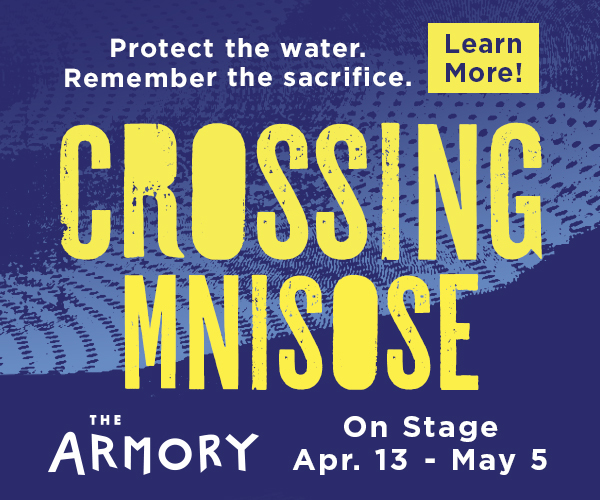 A transcendent performance piece incorporating audio/visual work and tap dancing. Performing Arts Building Atrium, 3203 SE Woodstock Blvd. In this movement-based exploration of the senses, student dancers guide viewers around Reed’s campus to past protest sites. Prior to the tour, viewers should meet the dancers in the Performing Arts Building Atrium. Dancers of Automal. Photo by Bill Starr. 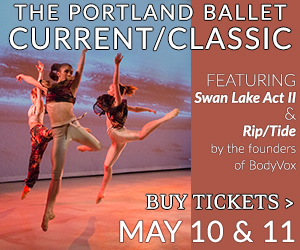 The Old Church Concert Hall, 1422 SW 11th Ave.
Portland dance company Automal, directed by choreographer Kate Rafter, will perform new, original dance works to several songs by Portland folk-rock band Lili St Anne. Automal is a small, project-based company specializing in dance, physical and site-specific immersive theater, and multimedia. Oregon International Ballet Academy students rehearsing for “The Nutcracker.” Photo courtesy of Oregon International Ballet Academy. 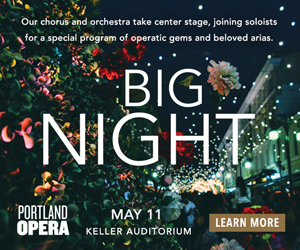 Oregon International Ballet Academy, directed by Oregon Ballet Theatre principal dancer Xuan Cheng and her husband, former OBT soloist Ye Li, present its first full-length Nutcracker in collaboration with the Metropolitan Youth Symphony. The production, adapted from Lev Ivanov’s and Marius Petipa’s original Nutcracker. 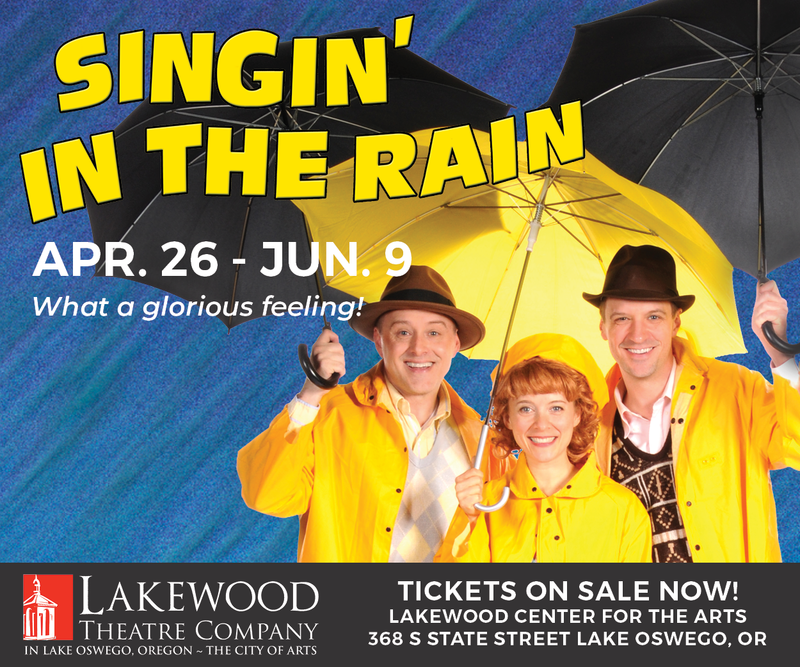 features 50 student performers and parents as well as professional guest artists from OBT. Flamenco dancer Emilio Ochando. Photo courtesy of Emilio Ochando. 6:30 pm November 17, Harvest Wine Bar, 14559 Westlake Dr.
6:30 pm November 18, Oregon Ballet Theatre, 0720 SW Bancroft St.
Madrid-based flamenco dancer Emilio Ochando–who has performed with Ballet Nacional de España and Nuevo Ballet Español–will share Clásica Tradición, a work in progress featuring original music by flamenco fusion group Los Makarines. Ochando will discuss his creative process after the performance, followed by an informal Q & A session with viewers. “A Midsummer Night’s Dream” by John Clifford, performed by The Portland Ballet. 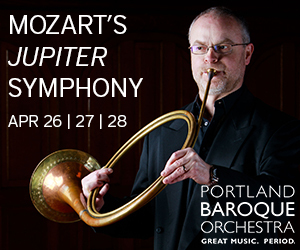 Photo courtesy of The Portland Ballet. In this streamlined adaptation of Shakespeare’s popular comedy, choreographed by Balanchine protégé John Clifford, fairies feud, mischief is made, and a royal wedding is celebrated. 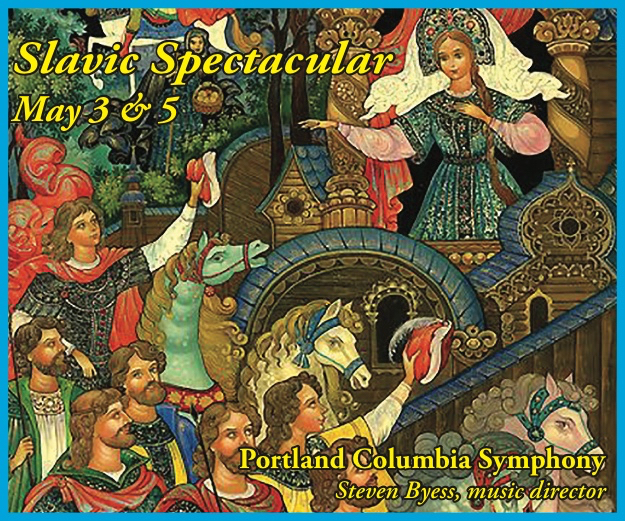 In this holiday weekend spectacular, 80 student dancers from The Portland Ballet will populate Shakespeare’s enchanted forest; guest artists Josh Murry-Hawkins, Skye Stouber, and Seth Parker join in, accompanied by the PSU Orchestra and two PSU student opera singers. Ken Selden conducts the Mendelssohn score. Fun fact: the cast includes three sets of identical twins. Roseland Theater, 8 NW 6th Ave.
For one night only, Portland choreographers Amelia Unsicker and Alexander Dones will each perform at a showcase featuring 50 Portland artists of all kinds, as part of RAW, an international organization that fashion designer Heidi Luerra developed in 2009 in Los Angeles to showcase emerging artists. Both Unsicker and Dones are Portland natives, and have extensive experience performing, choreographing, teaching, and advocating for the arts. Bolshoi Ballet dancers in “Don Quixote.” Photo courtesy of Pathe Live. Bolshoi principal dancers Ekaterina Krysanova and Semyon Chudin star in Cervantes’ classic tale of Don Quixote’s quest to find his ideal woman, Dulcinea. Accompanied by the Léon Minkus score, a colorful cast of characters, including toreadors, flamenco dancers, gypsies, and tree nymphs, help bring to the story to life. 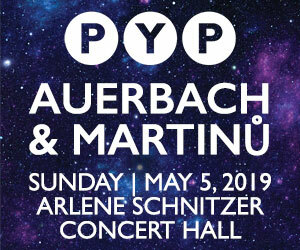 In Luca Guadagnino’s remake of Dario Argento’s 1977 cult classic, a young American dancer arrives in 1970s Berlin to audition for the world-renowned Helena Markos Dance Company and discovers that it’s run by a coven of witches. Choreographed by Belgian-French freelance choreographer Damien Jalet, this supernatural horror film stars Dakota Johnson as dancer Susie Bannion and Tilda Swinton as dance instructor Madame Blanc. Former Portland dancer Olivia Ancona (The Portland Ballet, NW Dance Project) makes an appearance as Marketa. The tale is haunted by dance legends Martha Graham, Mary Wigman, and Pina Bausch and “unleashes its witchy power through modern dance,” according to Gia Kourlas of The New York Times. Dance takes some unexpected twists and turns this week. It bounces off the wall at Night Lights: Windows 11, a meta multimedia experience. It pairs ballet stars with Hollywood royalty in Disney’s phantasmagorical new vision of The Nutcracker, and Shakespeare with the Harlem Renaissance in A Midsummer Night at the Savoy. You can walk around it, cocktail in hand, at civilized-Happy Hour, or catch its infectious joy from happy-footed toddlers at FLOOR’s grand opening party. A little strange? Yes, in a good way. “Windows 11” by Beth Whelan and Roesing Ape. Photo by Beth Whelan. As part of the Regional Arts & Culture Council’s outdoor public art series Night Lights, movement artist Beth Whelan and multidisciplinary artist Roesing Ape present Windows 11, which juxtaposes live dance performance with pre-recorded dance performance filmed in front of RACC’s building. The dance on film, projected on RACC’s north wall, will occasionally align with the live dance, all set to Ape’s recorded musical collage of noise art, banjo, and guitar. Warning: this is not a dance-centric film and it is not The Nutcracker as you know it. But it does feature choreography by Royal Ballet resident choreographer Liam Scarlett. and spectacular dancing by American Ballet Theatre principal Misty Copeland (here dubbed Ballerina Princess), Ukrainian ballet dancer Sergei Polunin (as the Cavalier), and street dancer Lil Buck as the Mouse King. 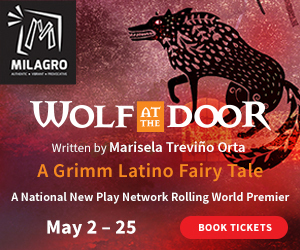 Loosely based on Marius Petipa’s The Nutcracker Ballet (which, in turn, is based on E. T. A. Hoffmann’s story The Nutcracker and the Mouse King), this is a Narnia-meets-Harry Potter-meets-Alice in Wonderland-style fantasy adventure tale. Morgan Freeman is Drosselmeyer, Helen Mirren is Mother Ginger, and actress Mackenzie Foy is Clara, who travels to the so-called Fourth Realm to retrieve a key that will unlock a box containing a precious gift and restore harmony to an unstable land. “A Midsummer Night at the Savoy” by Rejoice! Diaspora Dance Theatre. Photo courtesy of Rejoice! Diaspora Dance Theatre. 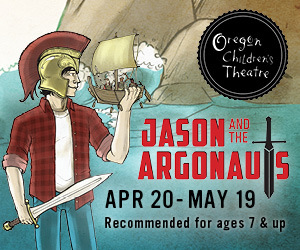 Portland Playhouse, 602 NE Prescott St.
Set in Harlem’s historic Savoy Ballroom, but using A Midsummer Night’s Dream as the dramatic framework, Rejoice! Diaspora Dance Theatre weaves together four contemporary choreographers’ work into one piece that highlights the massive contributions African-American artists have made to the American cultural landscape. Actor Kevin Jones narrates as Langston Hughes. Tongue Dance Project dancers Lauren Smith and Adrianna Audoma. Photo by Elliot C. Petenbrink. Celebrate the grand opening of Portland’s newest dance studio, FLOOR Center for Dance, owned by artist/arts educator Stephanie Gilliland. The party includes a full day of FREE dance classes for kids and adults, and a family-friendly open house from 6:00 – 9:00 pm, with an auction, raffle, refreshments and a performance by Gilliland’s company, Tongue Dance Project. “civilized” by Catherine Egan features Celine Bouly (left) and Egan. From 4:00-10:00 pm, viewers can come and go as they like from this performance installation, a visual and sonic exploration on the temporal nature of ice. Created by Portland choreographer Catherine Egan, with music from composer Doug Theriault, the piece uses ice as a metaphor to explore changing dynamics. Egan performs with Celine Bouly and special guest Kyle Delamarter of Imago Theatre. It’s almost Halloween, which means it’s time to dress up like a zombie and join Thrill the World, in which thousands of people gather in cities worldwide to dance the choreography from Michael Jackson’s famous 1983 music video Thriller. Thrill The World was created by Canadian Ines Markeljevic in 2005 with the goal to unite the world through dance. The event happens on the Saturday before Halloween. You don’t need to be a professional dancer or even have a zombie costume: just learn the dance in one of the group lessons, or online, and get out there and dance. Portland’s Thrill The World takes place at 3 pm; registration begins at 2:40 pm Saturday, October 27 at Irving Park’s covered basketball court. 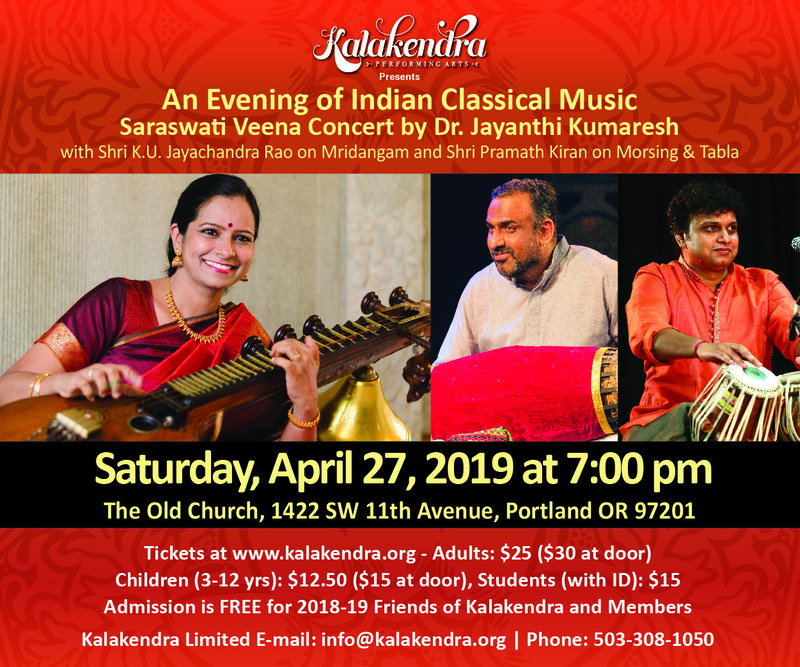 The event will be emceed by Portland Bollywood dancer extraordinaire DJ Prashant and radio host Contessa de la Luna; Prashant’s Jai Ho! Dance Troupe will perform a Bollywood version of Thriller at 2:45 pm. Irving Park, Covered basketball court, 707 NE Fremont St.
Complexions Contemporary Ballet in “Star Dust” mode. Photo courtesy of White Bird. In this tribute to David Bowie, New York’s Complexions Contemporary Ballet (co-directed by former Alvin Ailey American Dance Theater dancers Dwight Rhoden and Desmond Richardson) thoughtfully explore new layers to Bowie and his music. Star Dust, choreographed by Rhoden, features dances to nine well-known Bowie songs: Lazarus, Changes, Life on Mars, Space Oddity, 1984, Heroes, Modern Love, Rock and Roll Suicide, and Young Americans. Flamenco Pacifico dancer Elena Villa. Photo by Mary Landberg. Hawthorne Theatre, 1507 SE 39th Ave. 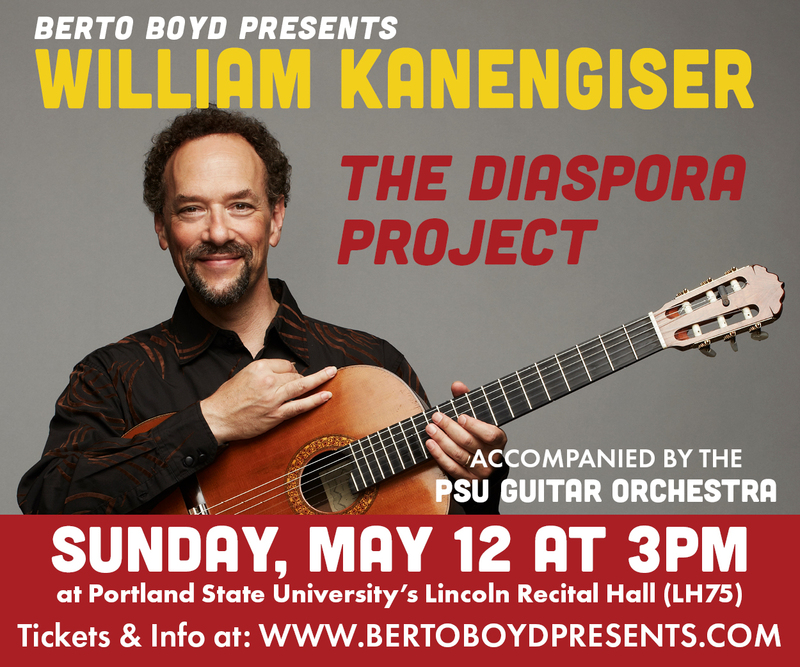 In the spirit of convivencia (“coexistence” in Spanish), Flamenco Pacifico’s acclaimed guitarist and composer Berto Boyd integrates Brazilian samba and American jazz with traditional Spanish flamenco in this one-night-only performance. 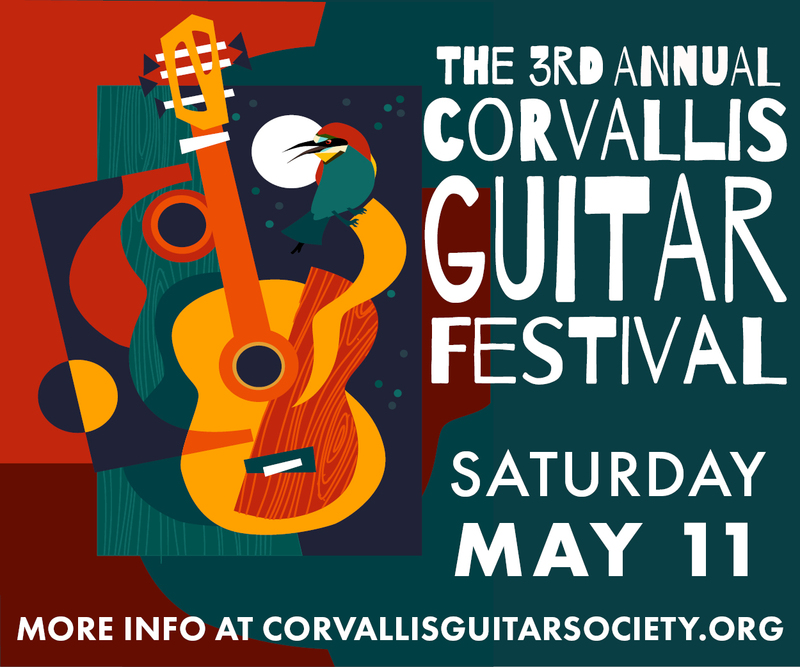 Boyd, with guitarist/singer Grant Ruiz, percussionist Terry Longshore, and bassist Randy Tico, will accompany dancers Elena Villa and Melissa Cruz. Young Peruvian dancers. Photo courtesy of the Peruvian Cultural Festival. This first-time festival celebrates the kaleidoscope of influences on coastal Peruvian culture with dance and music performances by an array of Portland artists. Dancers Adrianna Audoma and Nicole Osbon of Tongue Dance Project. Tongue Dance Project will be teaching a modern contemporary dance class as part of Steps PDX’s one-year anniversary celebration. Photo by Elliot Petenbrink. Celebrate the one-year anniversary of Portland’s newest dance studio, Steps PDX, with a full day of FREE dance classes, snacks, raffles, and giveaways (admission is by donation). The studio, owned and directed by Kathryn Harden, kicks off the event at 9 am with an open ballet class taught by Harden herself, and winds it down with the all-abilities movement class Dance Church at 5:45 pm, taught by Allison Jacks. The anniversary event concludes with party. Harden trained with Pacific Northwest Ballet’s Professional Division, performed with Ballet Idaho, and received a degree in Exercise Science for Kinesiology and Dance Performance from Towson University. With Steps PDX, her goal has been to create a safe, comfortable space for students of all skill levels and ages to experience professional-quality training.